The greenhouse on the Maryland plantation where famed abolitionist Frederick Douglass spent part of his childhood was not as uniquely European as once thought: Its furnace was built by slaves, who hid distinctly African touches within it to ward off bad spirits, researchers said. A stone pestle to control spirits was concealed in brick ductwork used to heat the orangery -- a type of greenhouse used to shield citrus and other trees from chilly winters -- and University of Maryland archaeologists found charms buried at the structure's entrance, said excavation leader Mark Leone. The greenhouse was long considered a mark of European sophistication and was a status symbol of the era. Douglass, whose adopted birthday is Feb. 14, described the cruelty of his enslavement after he was freed, though he didn't realize the slaves were helping create a unique agricultural practice, Leone said this week. "What he must have seen as a boy is the creation and use of African-American gardening," Leone said. Richard Westmacott, a University of Georgia professor emeritus and author of "African-American Gardening," said slaves were often chosen because of their agricultural skills. Many slaves brought to South Carolina, for example, had more experience growing rice than their owners, said Westmacott, who was not involved in the Maryland research. However, in America they were also exposed to practices they had not seen in Africa, such as row crops and flower cultivation. From that, a distinct form of gardening evolved, he said. By looking at pollens found during the Wye House dig, researchers found that the greenhouse was first used to grow flowering plants, shrubs and medicinal herbs, Leone said. By the 1820s, lemon and orange trees were being grown. They also found pollens from the rose family, lily, iris and nightshade, among others. 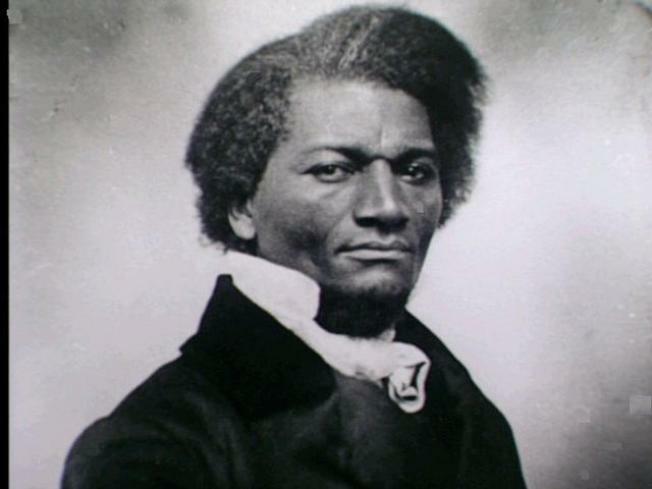 The pollen evidence matches Douglass' descriptions in his 1845 autobiography, "Narrative of the Life of Frederick Douglass," written after his 1838 escape from slavery. Douglass, who lived at the plantation near Easton along Maryland's eastern shore for several years in the mid-1820s, said the garden drew visitors from as far as Baltimore, about 40 miles away and across the Chesapeake Bay. "It abounded in fruits of almost every description, from the hardy apple of the north to the delicate orange of the south," Douglass wrote. Leone had previously led an excavation on the property that uncovered slave quarters and other buildings. Before that dig began, archaeologists contacted descendants of slaves who worked on the property, many of whom live nearby. The descendants were most interested in slave spirituality and the role the Wye House slaves had in blacks' fight for freedom. Harriette Lowery, a descendant of Wye House slaves who lives in nearby Unionville, said it has been "almost spiritual" to have a connection to her ancestors. "When they found spoons and pieces of bowls they worked with, just to be able to touch something that they touched was a feeling that I can't put into words," she said. Lowery said her aunt, who recently died, was a church leader and extremely interested in the spiritual lives of the slaves. The discovery of the charms would have pleased her. "So, to even find it out now puts a smile on my face because she would be very happy," Lowery said. The excavation was conducted with the permission of Mary S. Tilghman, who inherited the property in 1993 and is an 11th-generation descendent of Edward Lloyd, who first settled the property. Tilghman said she is committed to preserving the estate's history. "This land has always been a part of my life," she said, "and its preservation comes as a duty."